Are you looking for a game which your little one can also play, an epic adventure which will take you to the Viking worlds of fame and glory? 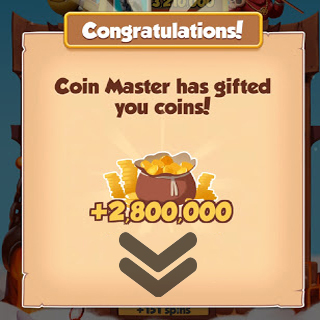 Welcome, to an epic adventure of Viking in Coin Master Guide 2019, where we will take you the entire process of playing Coin Master. 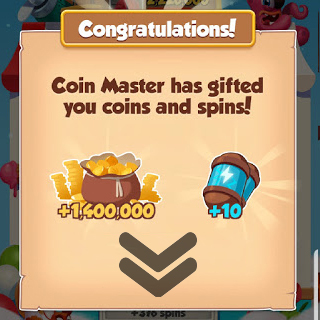 Coin Master is a Mobile game developed by “Moon Active” game developer. Coin Master game has been designed to play in three formats namely Android, Facebook, and iOS. So, get ready for adventure which will take you to different villages and island. You need to spin the wheel to get different items, which will be used in the game to help you progress. You are the Viking leader of your village, and your village needs you to get it upgraded. Coin Master game has been developed keeping in a different age group in mind. It is very popular with kids as well as an adult. Gameplay is very simple; you need to spin the wheel and get different items. Your items which you gain form spin will decide the outcome of the game and your progress. The game is free to download but contain in-app purchase of different items forms the game store. You can use Google Game Play Gold Card or Apple Game Card to purchase different items from the store. When you start the game, you will receive 75000 coins in your game account. You have to buy Village which will cost you around 60000 game coins.You can get unlimited cpoins using Coin Master mod apk for android HERE. Each time you build something in your village, you will receive one star. You need to earn 20 Star which will enable you to move to another village. After building village you need to put your desired name for your game account. Now the game account will change to your name. Alternatively, you can connect using your Facebook account which will give you many bonuses in the game. 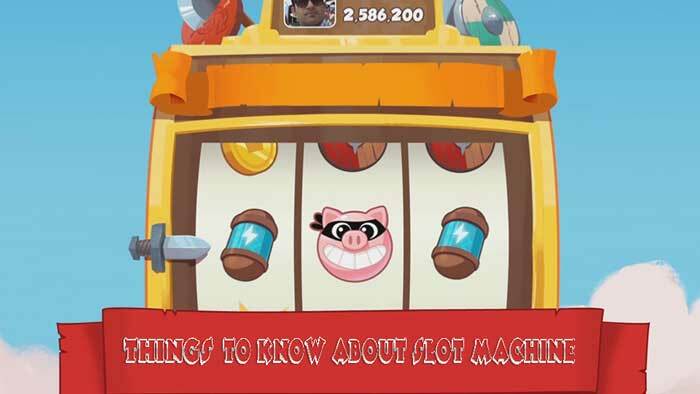 After completing the basic requirement, you will be guided to swipe the mobile screen, which will show you slot machine. Initially, you will be allowed with eight free Spin, after finishing these spins you will get five free spins every hour. Play: this option will take you to the slot machine where you can spin the slot. Village: In this option, it will take you to the village area. Setting: in the section, you will find different game options. Hammer: Hammer is the game item, which will enable you to attack another people village and plunder it. It is the most common item which you can get using a slot machine. In the attack mode, you will be given 5 spots to choose on which you can attack. Remember hammer can be used only one time after then it will disappear. Hammer attack can stop using shields. If your opponent is using shields to protect his village, you will get a small portion of coins. Hammer will break the shield and will disappear. Shields: It gives you protection from hammer attack to your village. Always remember to use shields to protect your village against raiders. Shields can be used one time after that it will disappear. If you want to protect your village from regular attack, then you should buy some shields. Pig Face: Pig face is rare to find in the slot machine. If you get one, then you can raid the game master village, which has more gold then anyone else in the game. You will be given 3 chances to dig in the game master village. Pig Face is extremely difficult to get, and it ensures huge game coins. Game Coins: Don’t become sad, if you did not get any items using slot machine, you could still get game coins for free. So, these are the four-game items you can expect using slot machine when you hit the spin button. You need to purchase spins or coins to advance in the game. Coin master game is based on Viking king attacking other people’s village to get coins. It has some lovely character and beautiful game items. You will love to play this game as it did not require any special skills. You need to spin the slot machine to get items which you will use to conquer villages. The game is addictive, and we recommend you to give it a try. Till them happy gaming.